Imagine herds of elephants emerging from mopane forests coming to drink at the Khwai River at dusk in front of the sinking sun. 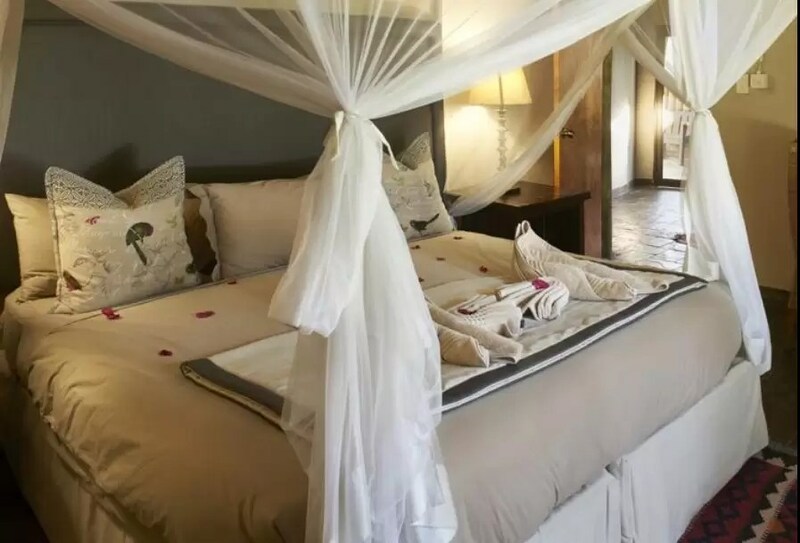 Listen with awe to the powerful roar of a lion at night or hippos splashing in the lagoon next to your camp. Witness the dramatic action of African wild dogs chasing an impala or watch a giant giraffe stretching her neck to reach leaves high up in a tree. 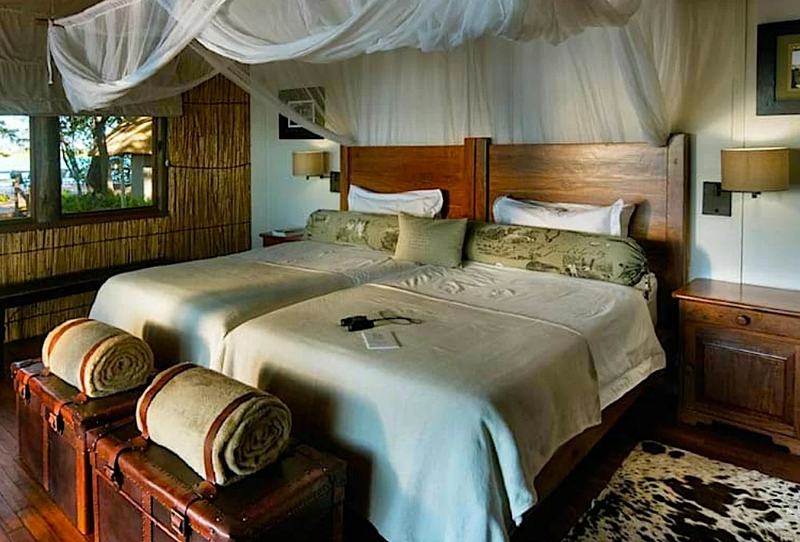 There is not one day on a Botswana Safari that will leave you disappointed. Every day will bring a surprise. Even tracking a lion or leopard can be as exciting as reading an intriguing crime novel. 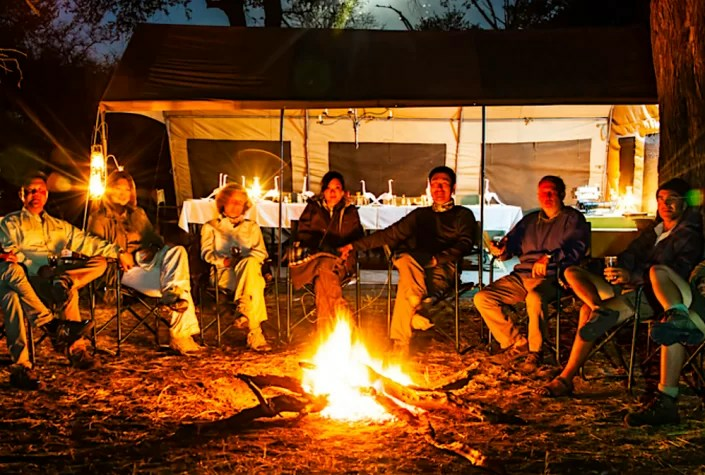 Join Wild Focus Expeditions on a mobile-tented safari. A mobile safari in the wild is certainly the most “real” bush experience available in Africa. 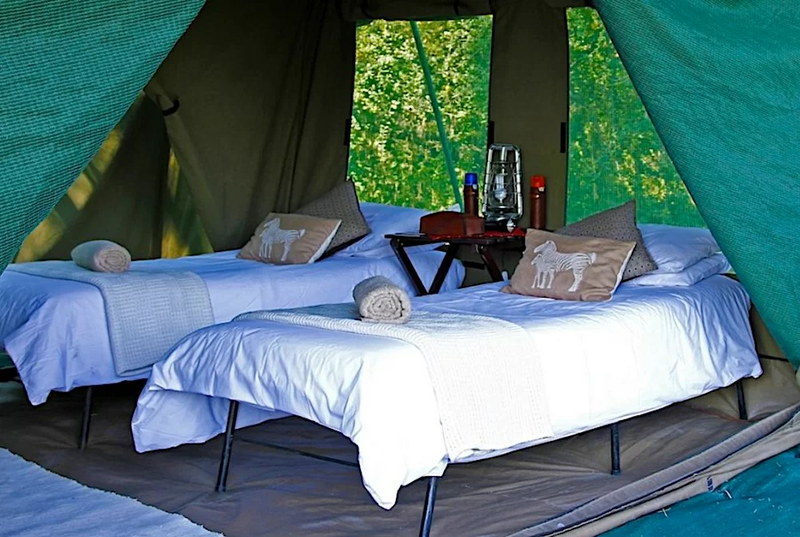 We have modeled our mobile tented camps to meet your every need. 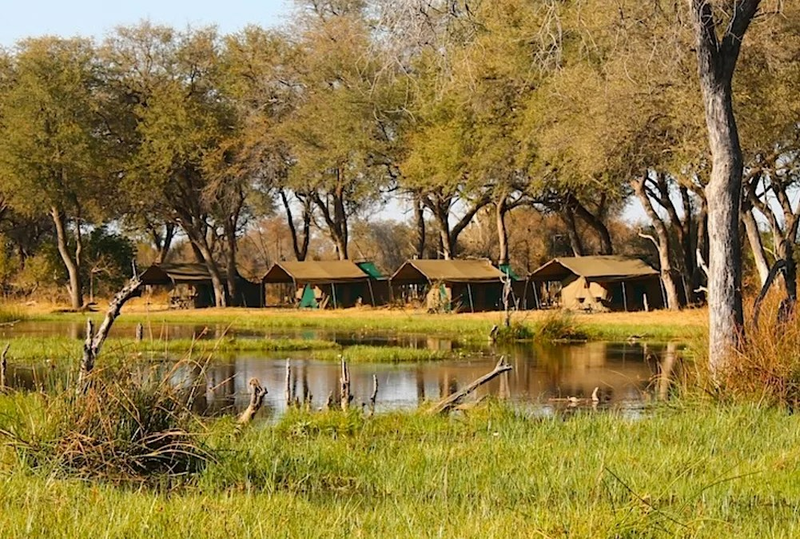 Mobile safaris are designed so that we are able to move from one private camp to another allowing us fantastic flexibility to be “where the game is” during varying seasons of the year. 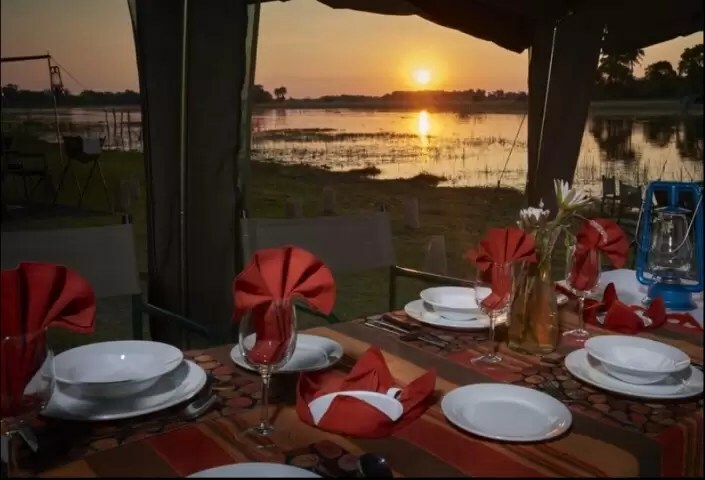 Our trip starts in the dusty frontier town of Maun where we will spend our first night before driving to our exclusive camp along the Khwai River. 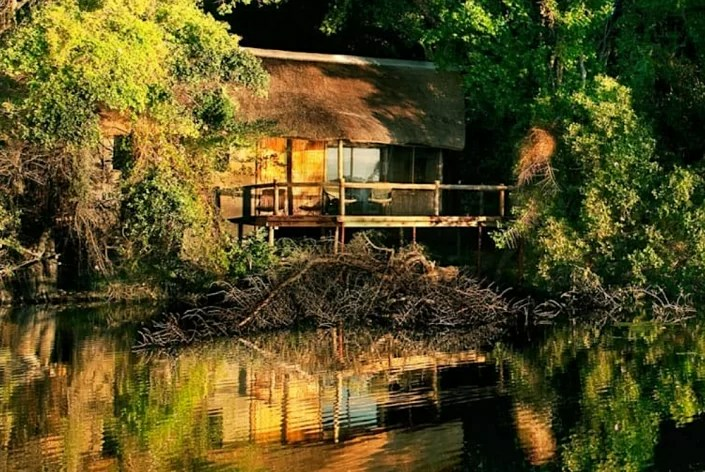 It is here in the lush Okavango Delta where elephants, lions, crocodiles and hopefully even African wild dogs await. 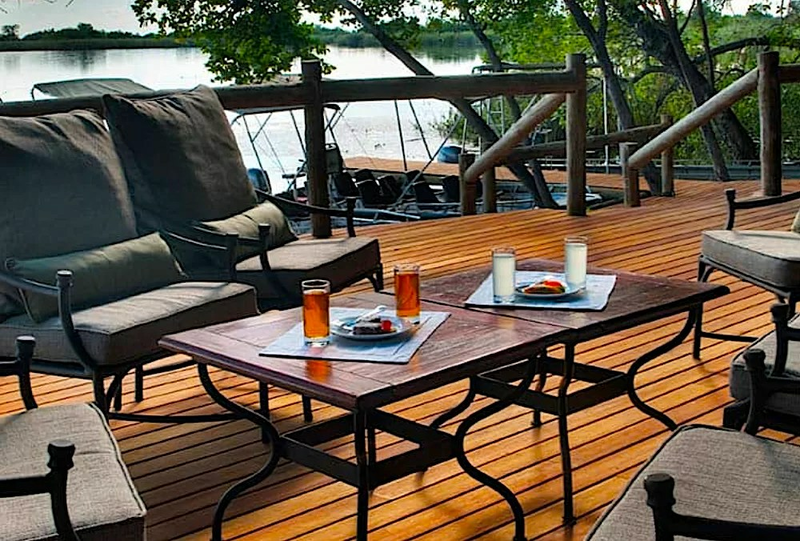 After three nights along the Khwai River, our staff will break camp while we take a charter flight to an island in the northeastern part of the Okavango Delta. We will spend two nights inside the delta at a beautiful lodge. From there we will experience the traditional way of exploring the Okavango - by mokoro, a dugout canoe. For longer journeys into this beautiful water labyrinth we will use motor boats. Most animals are used to boat traffic and often allow us to get within a short distance, close enough for photography but still far enough to avoid disturbing the animal. With some luck we will be able to get close to the precious and tiny Malachite kingfisher, the jewel of the Okavango. We also might find a heronry on one of the small tree islands with a lot of bird action like courting behaviour or incoming birds with nesting material in their bills. Our next destination, Savuti, will be reached by a private charter flight. 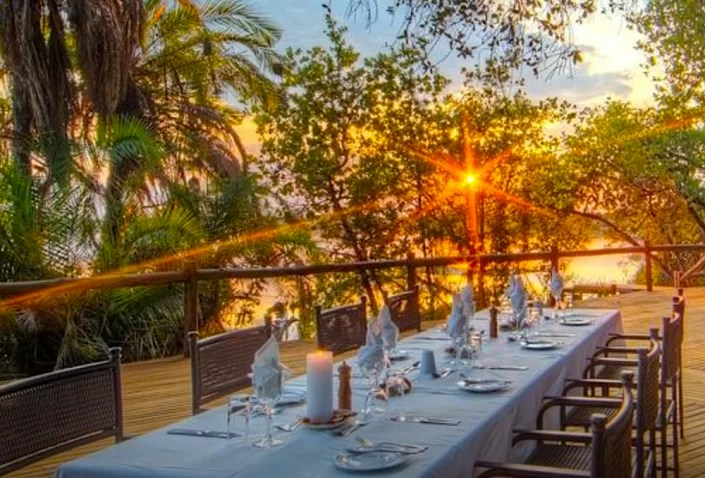 Savuti is situated in the southern part of Chobi National Park. Only one word can describe this place: magical! Many years ago it became famous because of a large pride of lions, the Savuti pride. Meanwhile the pride has split into smaller units. However until today lion action is one of the main attractions in Savuti. There are a number of waterholes where elephant breeding herds and bulls come to drink everyday. The settings of these waterholes are excellent for moody sunset photographs. Leopards are also frequently seen on one of the rocky outcrops - in a nutshell: Savuti is Botswana at its best! As nature photographers, we have spent years in the bush tracking, spotting and anticipating wildlife behavior. Here in Botswana we can show off our skills to provide you with a truly memorable and life-changing African experience. Whether you come to photograph, to observe through binoculars, or just to absorb and enjoy, we promise to have you in the right place at the right time. Travel Different with Wild Focus Expeditions! 25% in 11 months and 50% in 13 months 25% deposit, 25% due in 11 months and 50% due in 13 months after booking. Letters correspond to points on the map in the map tab. After breakfast we will drive to the Khwai River in the Okavango Delta. We will stop for a picnic lunch on the way and arrive mid-afternoon at our private camp in time for afternoon tea. After settling into our new camp, we will officially start the safari with our first afternoon game drive. After the game drive we will return to cocktails around a roaring camp fire beneath the stars. Overnight at Khwai Private Camp. B,L,D and drinks included. Today we start our daily routine of life in the bush. We start our days very early in the morning before sunrise. This is the time that the predators usually are most active. So after a quick bite and coffee around the fire, we will begin our first morning game drive. We return to camp for lunch, have a rest, afternoon tea and then head out for our afternoon game drive. After our morning game drive, we make our way to the airstrip. We fly to the northeastern part of the delta and land on a small island on a dirt runway. We are then transported by boat to our comfortable lodge in a serene and peaceful setting. After our afternoon tea we will start to explore the lagoons and channels by boat in search of wildlife. We might see hippos, elephants, crocodiles and many different bird species. With some luck we will find the jewel of the Okavango - the tiny Malachite kingfisher. Overnight at Xugana Lodge. B,L,D. Drinks not included. After our morning boat ride, we transfer back to the airstrip and take our bush plane to our next camp in Savuti. The staff has moved our camp during our time in the Delta and we will arrive in time for lunch and resume our bush routine. Overnight at Savuti Private Camp. B,L,D and drinks included. After our morning safari we will drive back to Maun where we will check into our lodge mid afternoon. After breakfast transfer to the airport for international flight home. We look forward to seeing you on your next Wild Focus Expedition! Accommodations for 11 nights on a twin/single-share room basis with private facilities. Our African safaris require little physical conditioning and are not considered strenuous. Travel will sometimes be by small charter aircraft and game-drive vehicles. Safari-goers should be aware that the game drives are often over bumpy surfaces and can sometimes be long depending on our sightings. Our mornings start early before daybreak and evening meals are served after sundown. All travelers must be able to climb into and out of raised 4x4 safari vehicles. Safari-goers in Botswana should be aware that most of our nights spent on safari will be in mobile-tented accommodations with a few nights in lodges or semi-permanent tents. 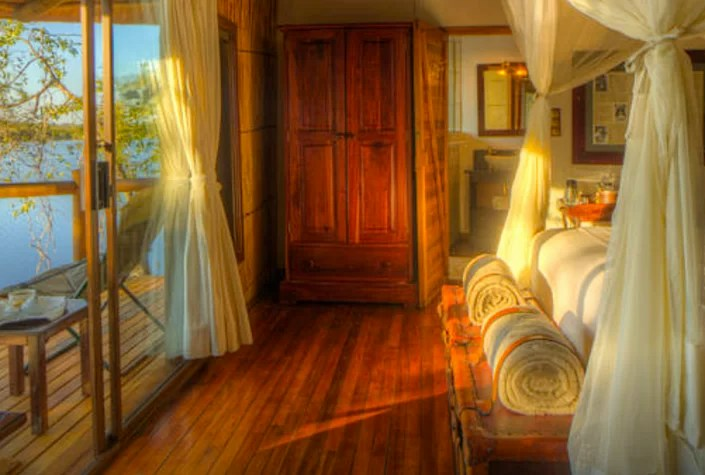 Our Namibia safaris will be in permanent to semi-permanent tented camps. All of our tents are en suite, are designed to the highest standards, and are comfortable with hot showers and an adjoining toilet. 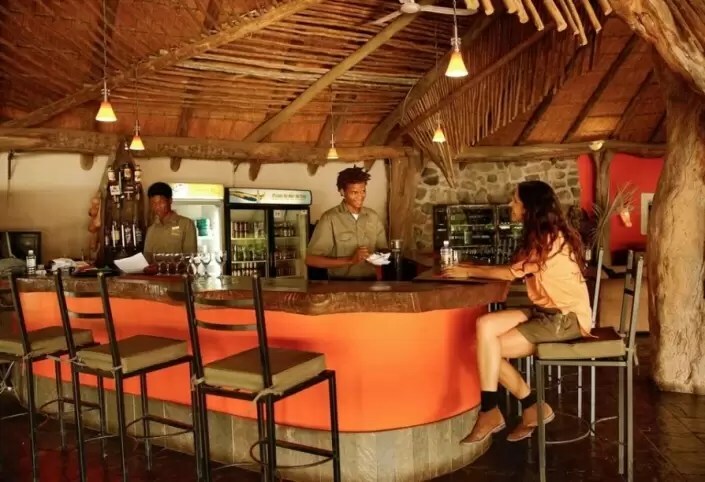 All of our camps will have separate lounge and dining areas which add to the excitement and ambiance of being on safari. It should be noted, however, that there are no fences around our camps, and animals of all sizes are sometimes encountered within the camp boundaries. Please be assured that you will be safe at all times. Our Expeditions Leaders and camp staff will be there to assure your safety. From May through August, temperatures are very comfortable. Mornings can be quite cool to cold while warming up as the day continues. Nights can be cold and midday temperatures range from 70ºF (20ºC) to 80ºF (26ºC0. Our Handbooks provide more detailed information about clothing and trip preparation. We recommend that our travelers bring an adventurous spirit, as you will often enjoy the closest animal encounters. Botswana is a country that engenders visions of Africa at it's best. It is an untamed, pristine wilderness with an abundance of wildlife. From the wetlands of the Okavango Delta to the dry sands of the Kalahari, Botswana is unique and provides photographers and safari goers alike with an inextricable knowledge that they have experienced true Africa. 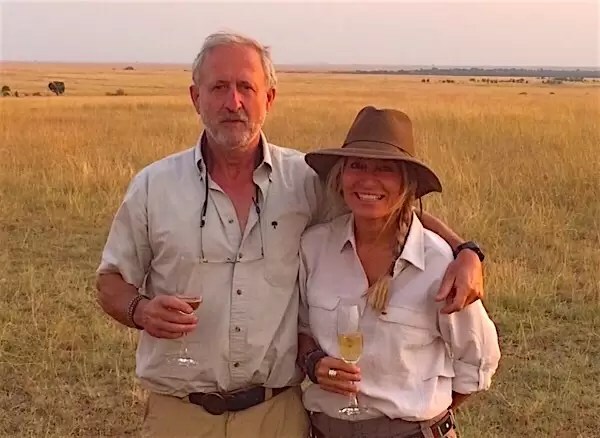 Jami and Theo have spent more than two solid years in Botswana returning over and over again because it always remains "new". They even leave their Land Cruiser ("The Beast") in either Botswana or Namibia, because - for them, Africa is home.